Wednesday (25th April) is Anzac Day in Australia. 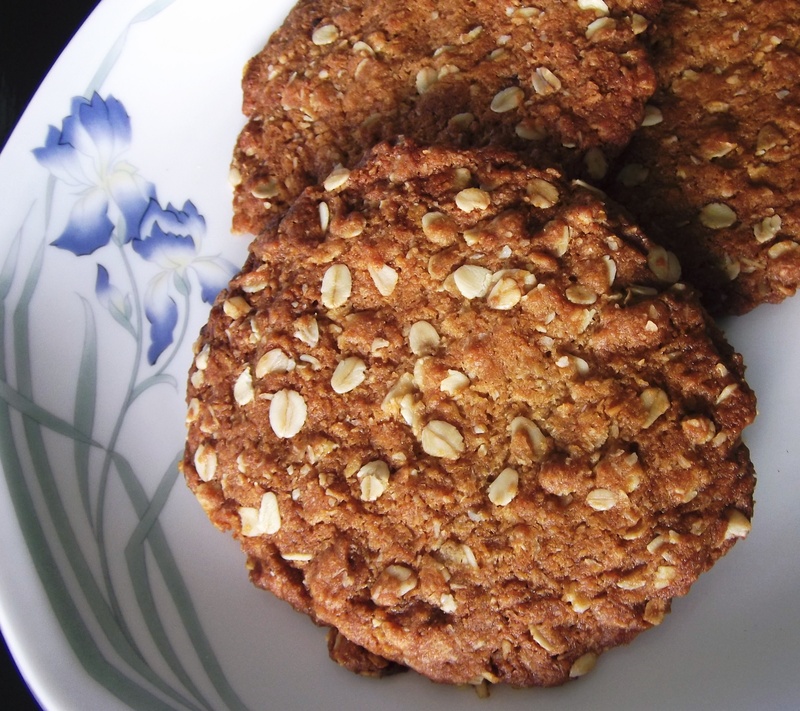 Anzac Day is the anniversary of the first major military action fought by the Australian and New Zealand forces during the First World War, and these biscuits are very traditional. It was back in 2012 that I first made this recipe. I also have another variation made with Olive Oil if you would like to try something a little different. Heat your oven to 180C/160C fan forced/350F. Line 3 large baking trays with baking paper, then spray with a little cooking spray. Combine the dry ingredients (rolled oats, coconut, flour and sugar, but not the bicarb) in a large bowl and mix well. Ensure that any lumps of sugar are broken up. Place the butter, syrup and water in a small saucepan and place over a low heat, stirring until the butter melts. Remove the pan from the heat and stir in the bicarbonate of soda. Stir the butter mixture into the dry ingredients until well combined. Roll spoonfuls of the mixture into balls (about the size of golf balls) and place on the baking trays. Keep a good distance between each of the balls. Press each ball to make a round disc shape. The biscuits will spread further on baking. Bake for about 10 minutes or until golden. Watch them carefully as they will change colour very quickly. Remove from the oven and leave to cool on the trays for 5 minutes, then transfer the biscuits (on the baking paper) to wire racks to cool completely. 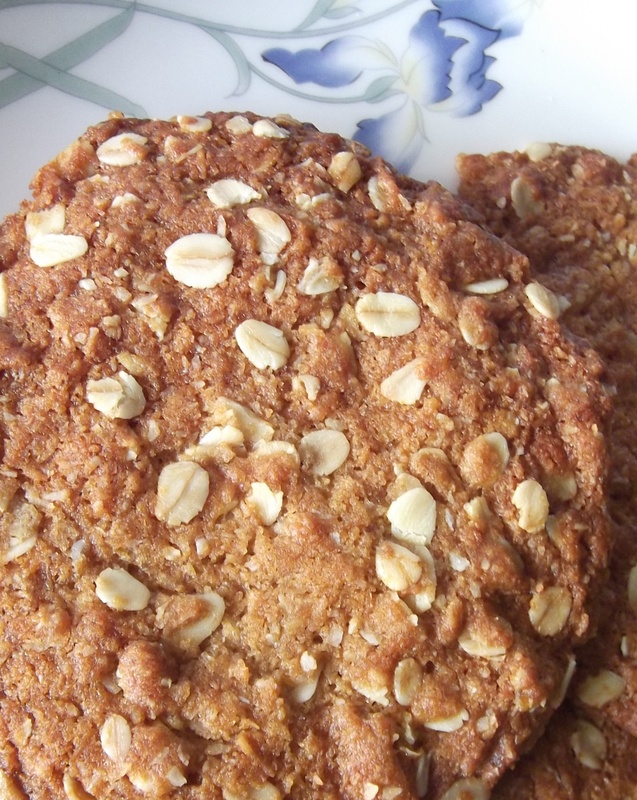 This entry was posted in Baking and tagged Anzac Day, Baking, Biscuits, Cookies, Food, Oats, Recipe, Recipes. Bookmark the permalink.